When you hear “TURBO,” what comes to mind? Rockets? Super heroes? Blender speeds? Well put all that behind you, because this explosive word is now a crazy new flavor of Dunkin Donuts coffee! And wait, there is even more good news. 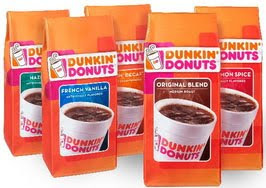 You can try Dunkin Donuts Turbo for free! Just click here and send the fine people at DD your name and address and they’ll send a complimentary 1.1 oz sample right to your door. DD describes the new blend as a “mild-roasted coffee blend with an extra boost of delicious Dunkin’ Donuts flavor to get you through your day.” For those of us who are beginning to think that we have more coffee than blood pumping through our veins, a free added boost sounds like just what the financial planner ordered. Not the doctor. The doctor would actually probably advise against it. Now you may anxiously wait by the door to experience your free taste of turbo.